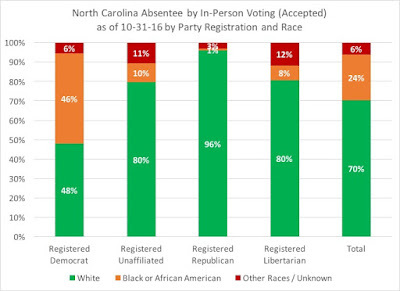 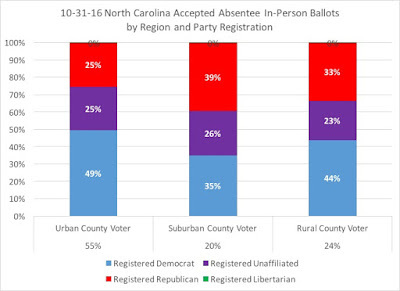 Among all absentee ballots, the party registration breaks down as: 43 percent registered Democrat, 31 percent registered Republican, and 25 percent registered unaffiliated. 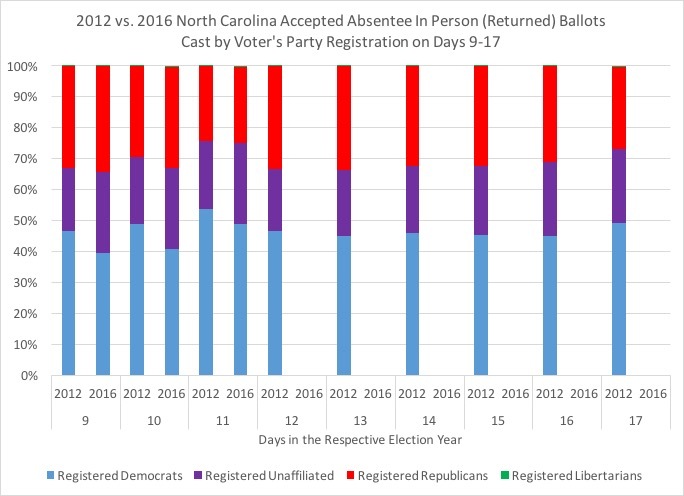 Compared to 2012's same day totals for each party registration, registered Democrats have made up some of their deficit; they are down 3.7 percent. 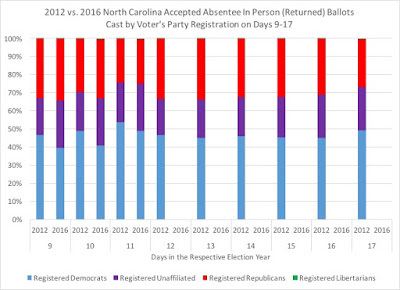 Registered Republicans, however, are up 5.1 percent, and registered unaffiliated voters are up 37.3 percent in comparison to their same day totals from four years ago. 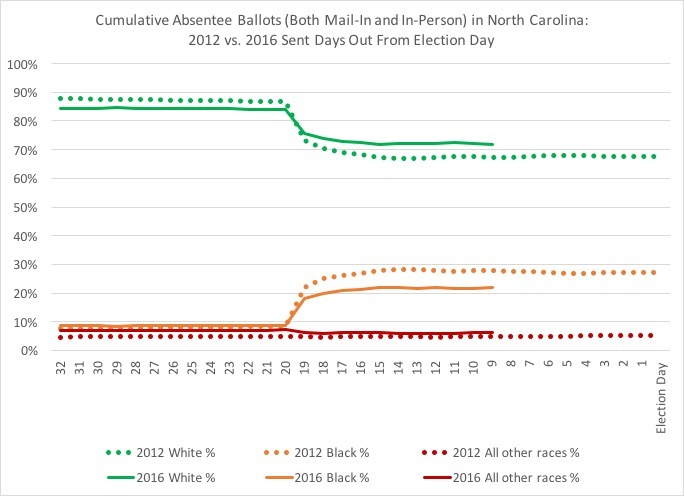 White voters are still 72 percent of the overall absentee ballots, with black voters at 22 and all other races at 6 percent. 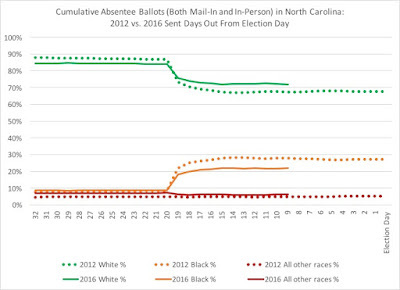 Yesterday did see a greater percentage of black voters casting ballots (28 percent) of the total daily, with white voters down at 67 percent. 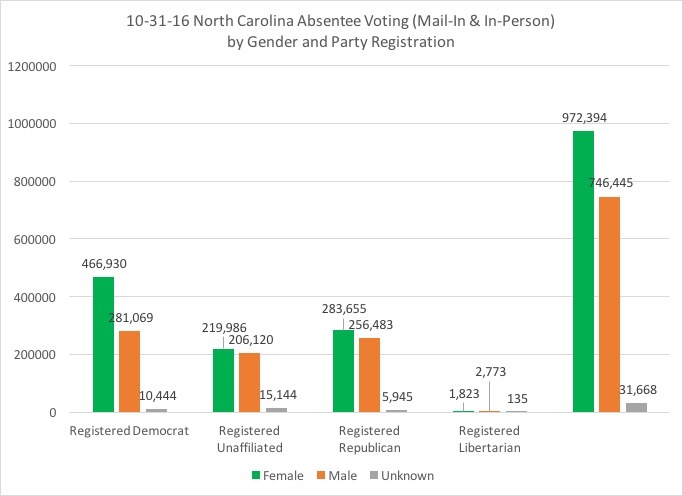 Female voters are still leading in absentee voting, with 56 percent of the ballots requested so far. 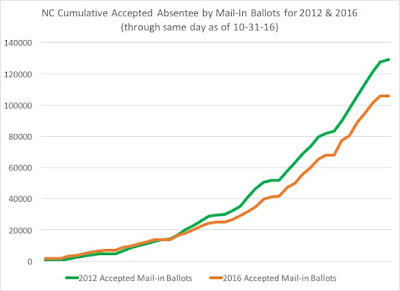 The accepted absentee in-person ballots shows an increase of 10 percent over 2012's same day totals. 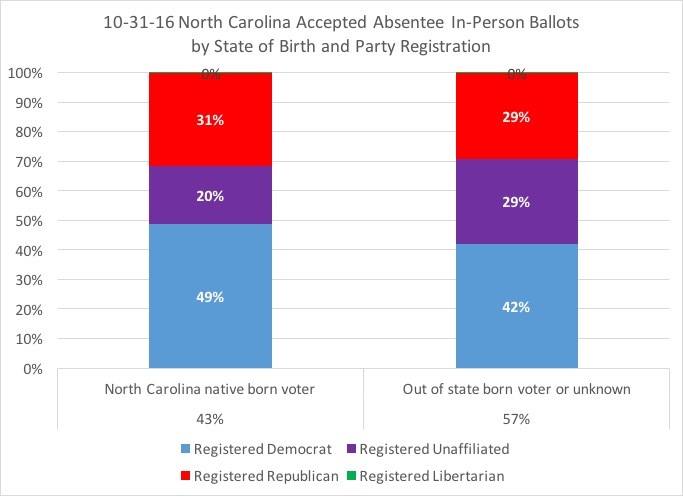 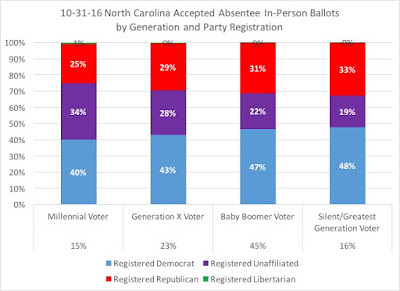 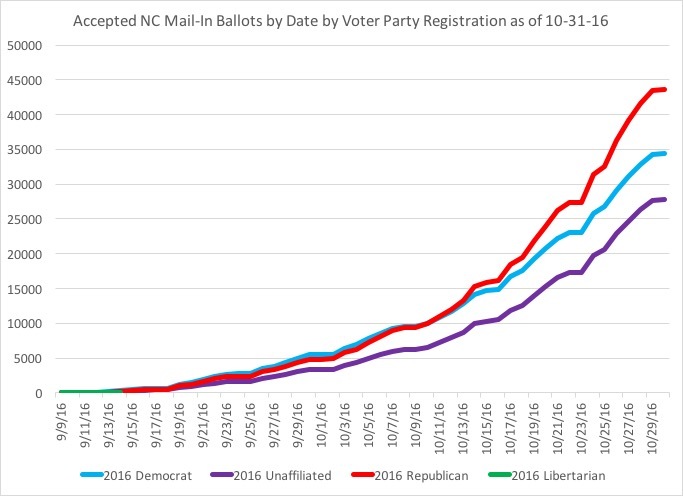 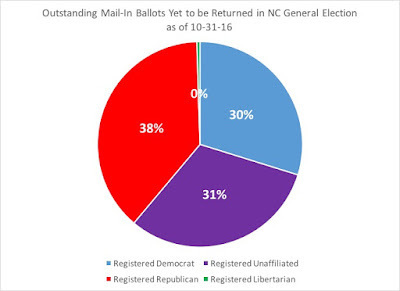 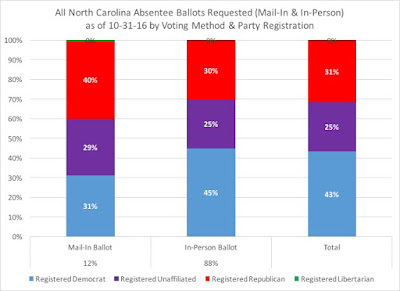 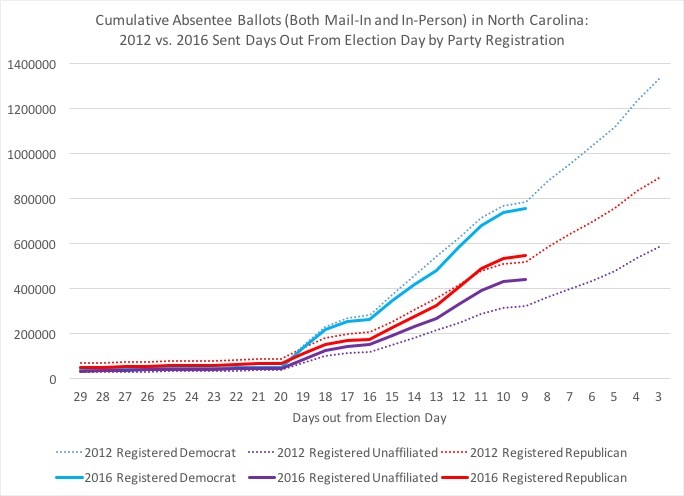 Registered Democrats continue to lead in accepted in-person ballots, while registered Republicans lead in accepted mail-in ballots. 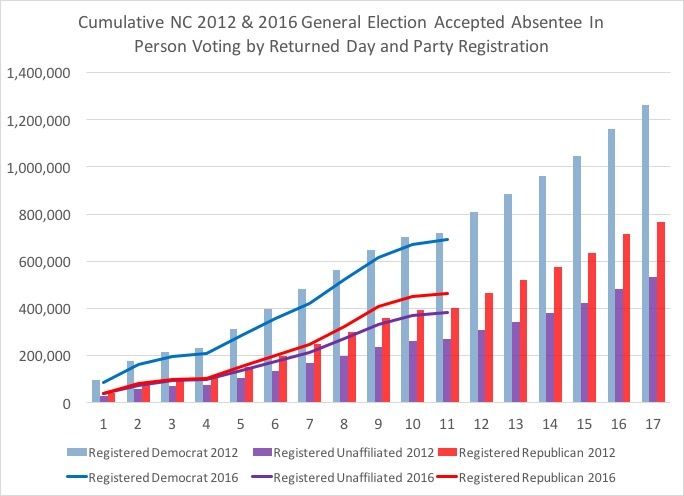 Overall, registered Democrats are 4 percent behind their same-day totals from 2012, registered Republicans are 15 percent ahead, and registered unaffiliated voters are 41 percent ahead of where they stood four years ago on the same day. 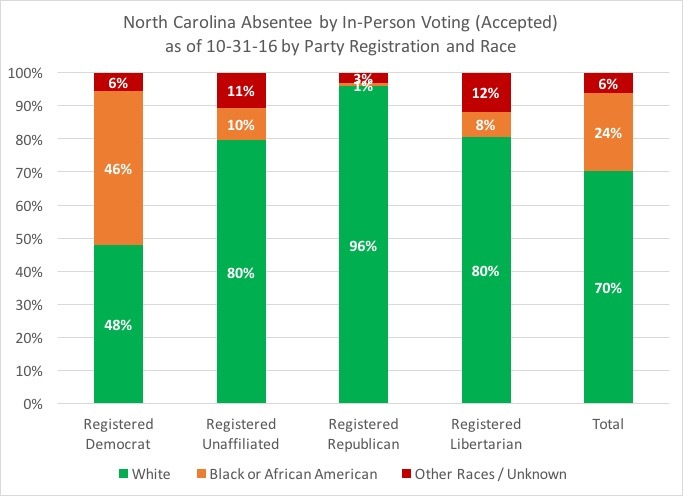 The key component of this is the notable drop from four years ago among black voters, who are strongly registered Democrats in the voter pool. The voting methods from 2012 of this year's in-person accepted absentee ballot voters shows that nearly two-thirds of this year's voters used the same voting method four years ago, with 13 percent having voted in-person absentee this year when they voted in-person on Election Day last year. 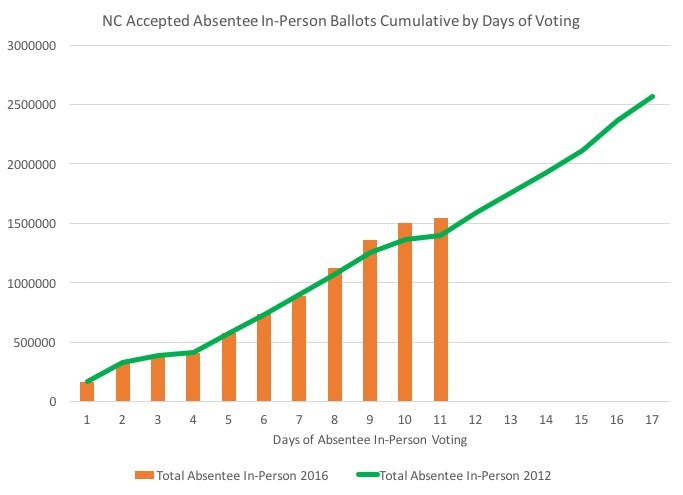 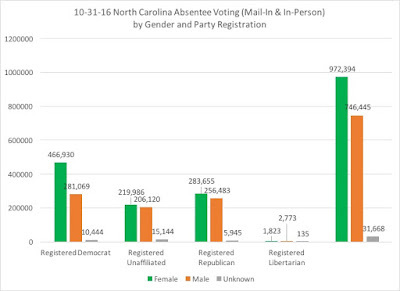 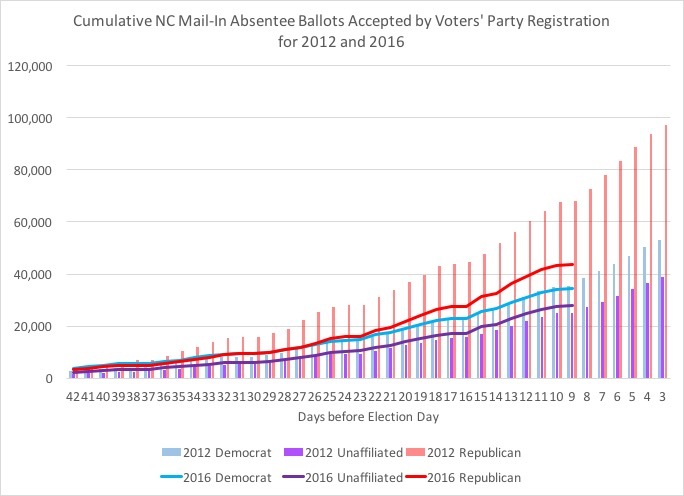 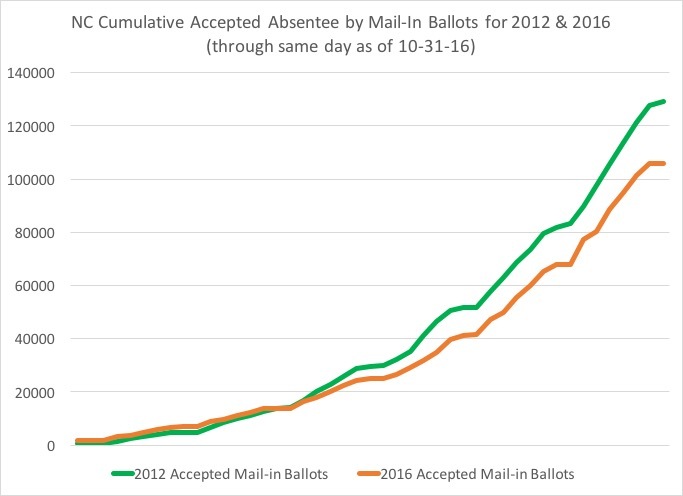 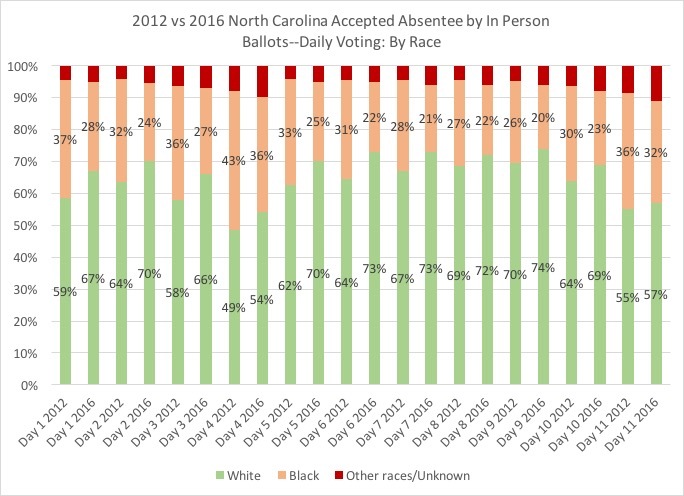 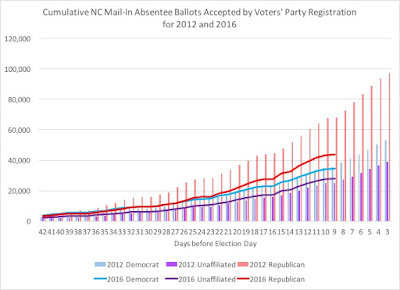 In terms of the 105,000 absentee mail-in ballots returned and accepted so far, only a little over 300 ballots were accepted yesterday, with very little movement in the percentages and trend lines in comparison to 2012's same day totals. 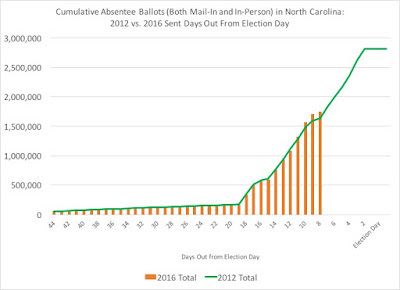 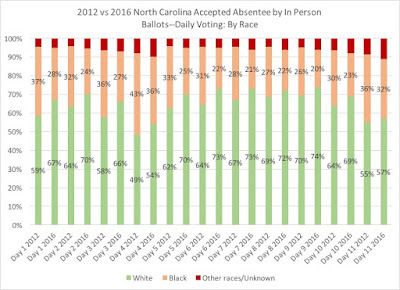 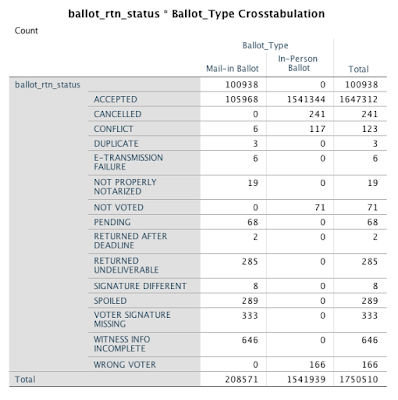 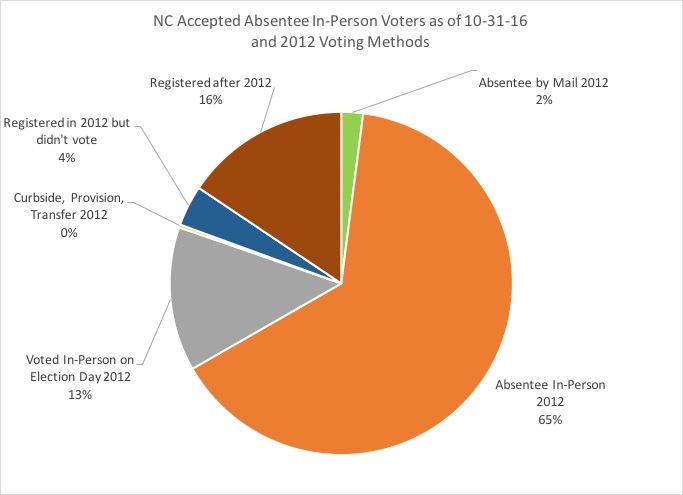 This year's mail-in ballots seem to be behind 2012's, and further investigation is needed to see if 2012 mail-in voters are voting in-person absentee. 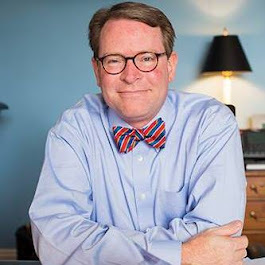 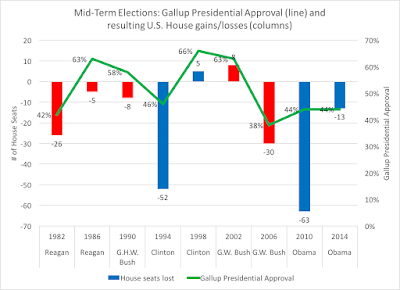 Overall, this year's mail-in ballots are only 82 percent of where things stood this time four years ago, with Republicans at 64 percent, Democrats 96 percent, and unaffiliated voters at 110 percent.